The online world is constantly improving, adapting and changing. This cycle of transformation doesn’t look like slowing down anytime soon. As the online landscape evolves, so does the world of SEO (Search Engine Optimisation). To provide SEO as a service to others, it is imperative to stay at the top of your game and always keep up to speed with changes that could affect SEO in the future. As Search Engine Optimisation comes of age the core foundations of SEO remain the same. One factor is certain though, SEO will be here for the long haul. As long as search engines exist and internet users keep using keywords and phrases to find what they’re looking for. Perhaps the future of SEO may rely more heavily on the recent rapid growth of social media, we’ll have to wait and see, but aquiring high quality links back to your site is always going to set your website in a favourable light towards the search engines. The old adage ‘if it ain’t broke, don’t fix it’ is quite relevant when discussing future SEO. For the time being, as long as SEO works and these claims can be proved the future is bright. It is an undeniable fact that Social Media is getting its fair share of attention in recent times but one firm fact still remains. Social media needs the web fundamentals: a homepage for your business on which you can sell and trade. Social Media is a great tool for business promotion and advertising but when it comes down to it, a website found at the top of the SERP (Search Engine Results Pages) is always going to hold more weight. As Social Media grows, the world of blogging is making a rejuvenated comeback. Everyone can benefit from a blog and they’ll do your SEO campaign a lot of good. Long gone are the days when a blog was just there to write down your thoughts in a diary form. Blogs provide a more personal side to business. Use a blog to launch a new product, review services or communicate with your customers at a more intimate level. 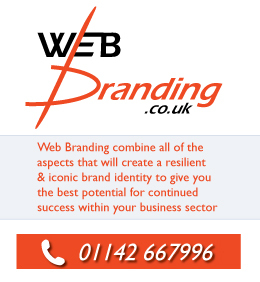 Whatever your line of business whether it’s selling child friendly seat belts or raising awareness for cancer, all projects, ventures and businesses will, one hundred percent, categorically, most definitely benefit from SEO guaranteed. To get heard above the non-stop online drone you need SEO to project your voice.